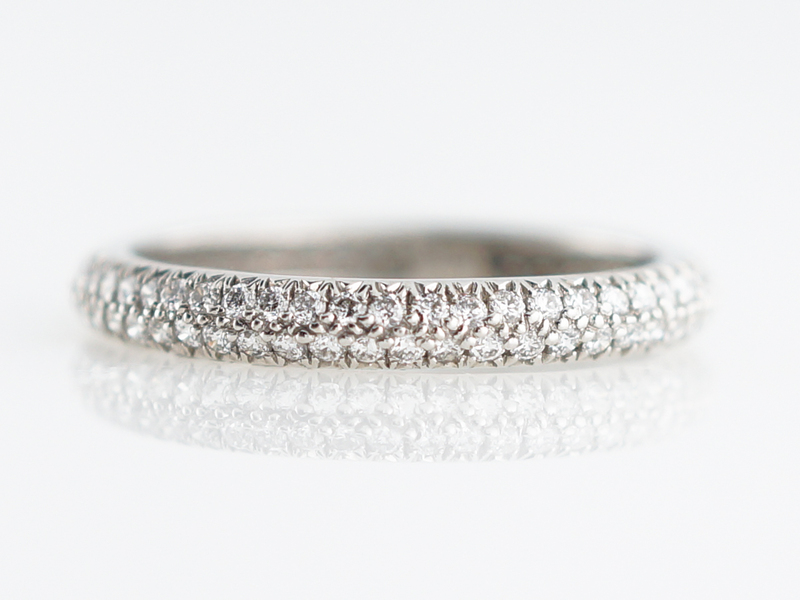 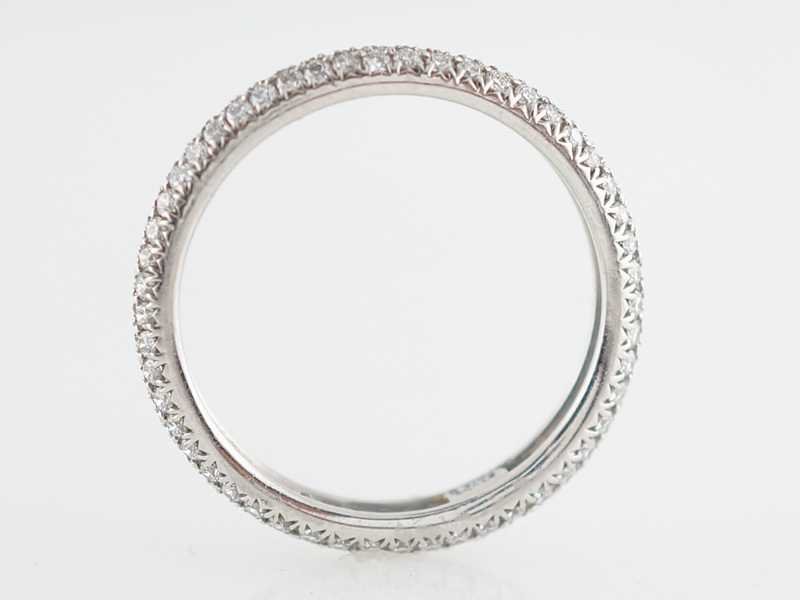 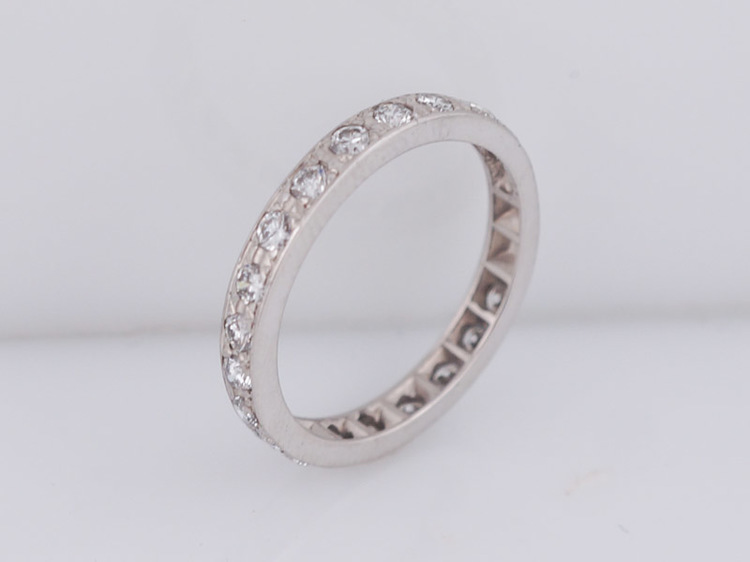 This modern eternity wedding band features a ninety-seven round brilliant cut diamonds set pave style for an all diamond look. 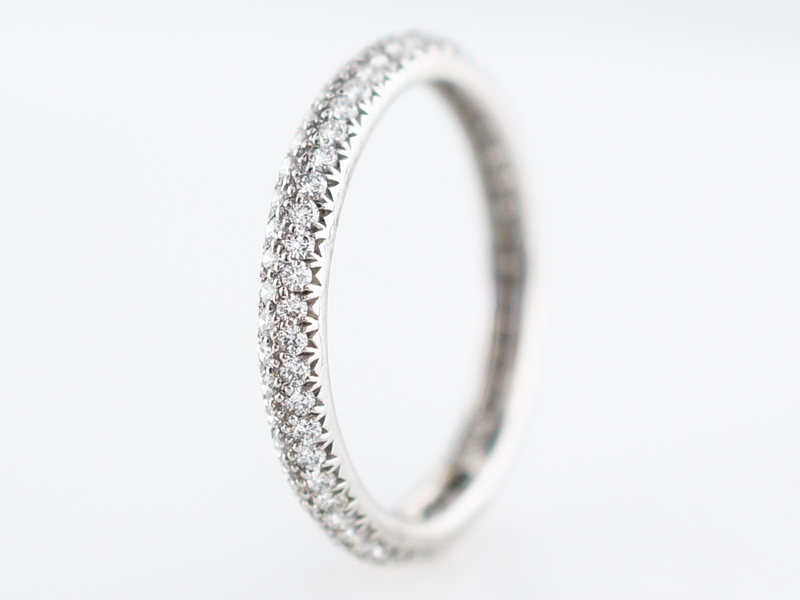 The diamonds are prong set, which gives the ring a gorgeous texture and the continuous rows provide a brilliant sparkle from every angle. 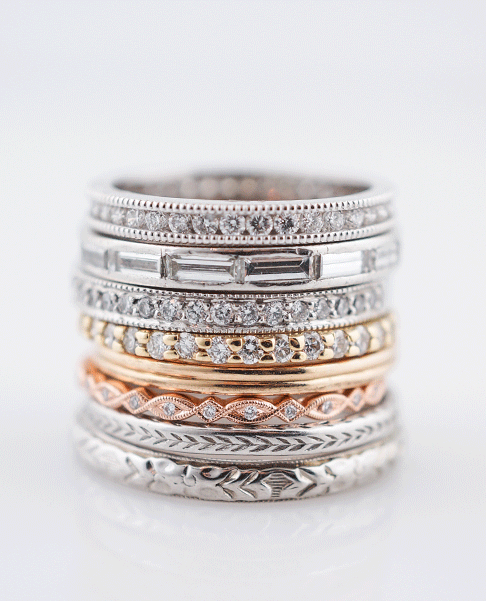 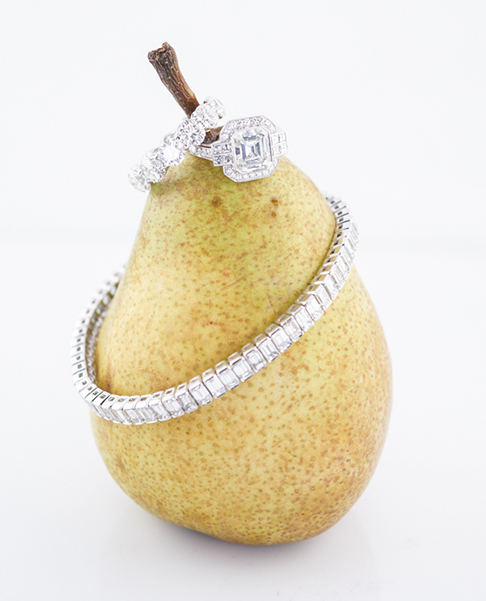 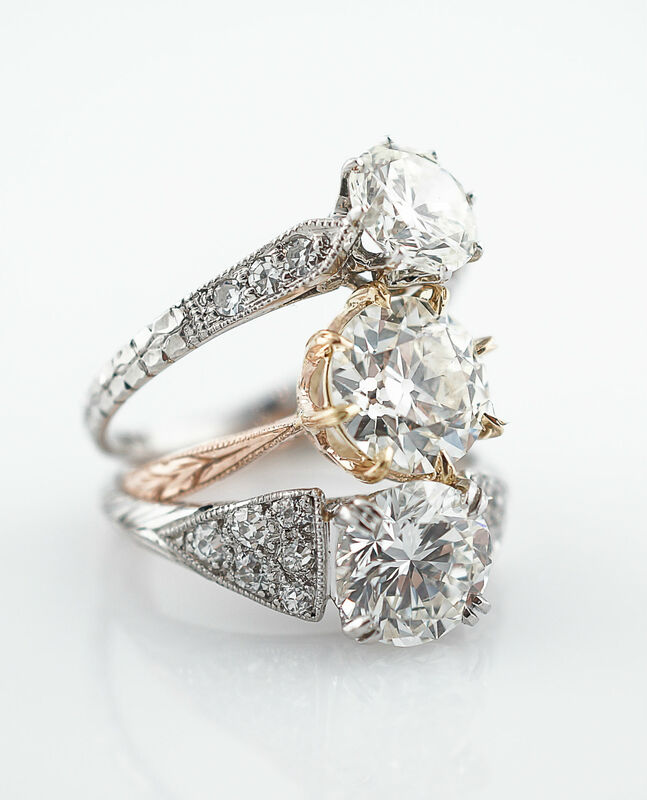 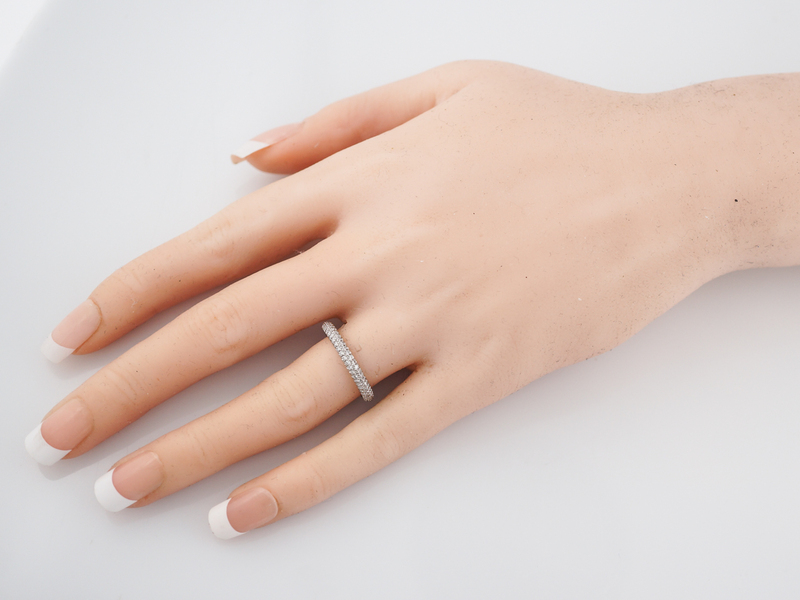 This unique band will pair well with an engagement ring or as the centerpiece to a stack of bands.